LOFT - Friends & Family - 40% off Entire Purchase with code EBATESLOFTFF. 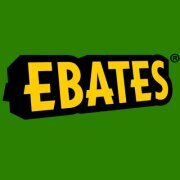 *Exclusive to Ebates! Bluefly - Extra 20-50% off during the Friend and Family Sale. Juicy Couture - Limited time - Enjoy an additional 30% off markdowns at Juicy Couture! Sierra Trading Post - Up to 40% off Tents. White House Black Market - Up to 60% off Spring Sale.